Blood Fish and Bone is a very long lasting slow release organic fertiliser ideal for Trees, Shrubs, Vegetables and Flowering Plants. 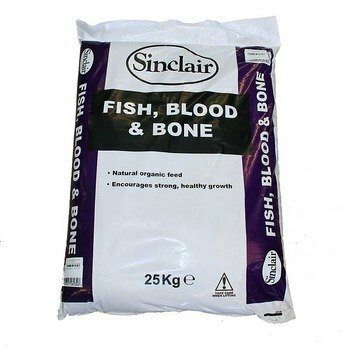 This listing is for a 25 kg bag of 100% organic fertiliser The chemical composition is 5-6-6 (nitrogen, phosphate and potash) it is a slow release long lasting general fertiliser and ideal if you don't want to bother with regular feeding and would prefer to use an organic fertiliser. It will considerably boost the growth of shrubs, hedges, trees and flowers as well as fruit trees and bushes.